Tim Bovaconti’s Fight Or Flight Album Release Party announced for Friday, May 18 at The Hideout! 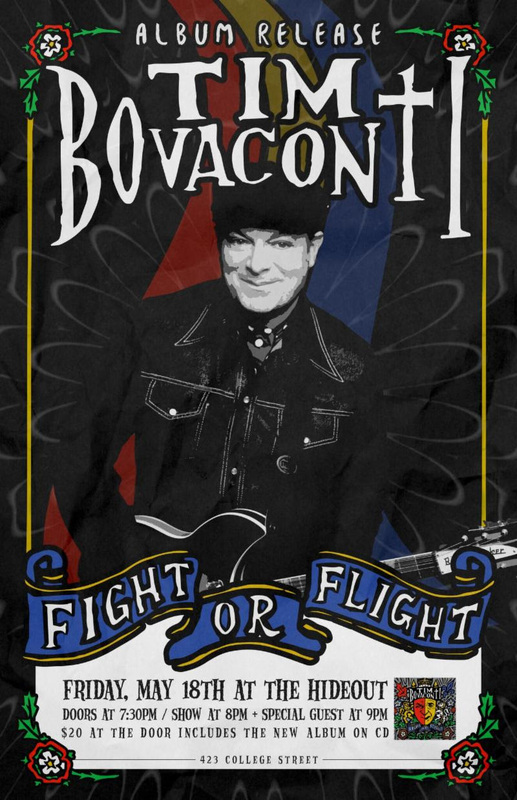 Toronto songwriter and multi-instrumentalist Tim Bovaconti announces the release of a self-produced albumFight Or Flight. The official album release takes place on Friday May 18th, at The Hideout (423 College Street in Toronto) and features his band-Blake Manning (drums and vocals),Patrick Allcock (guitar and vocals) and Peter Fusco (bass). The album set is slated for 8pm-8:45pm followed by a special guests set form 9:15pm-10pm.